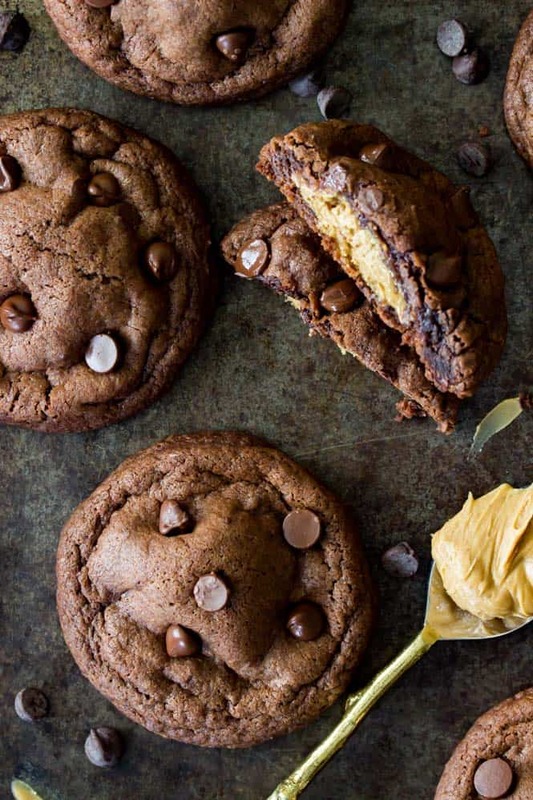 Rich chocolate cookies stuffed with a creamy peanut butter surprise! These peanut butter stuffed chocolate cookies are my most recent favorite cookie, and I think you’re going to love them just as much as I do! 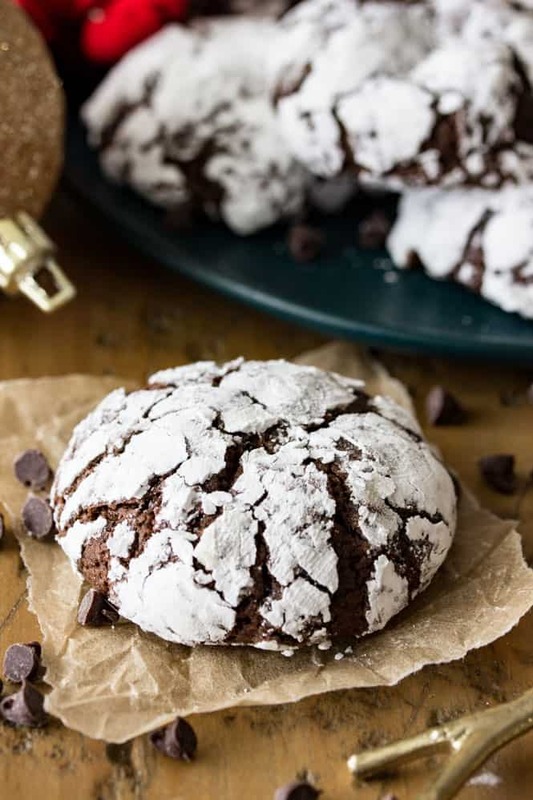 I can’t think of a better way to welcome a new week than with a cookie recipe. 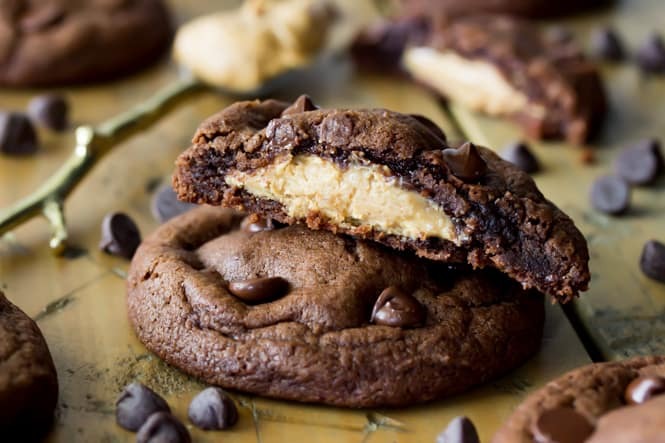 Not just any cookie recipe, but a big fat chocolate one with a peanut butter surprise. 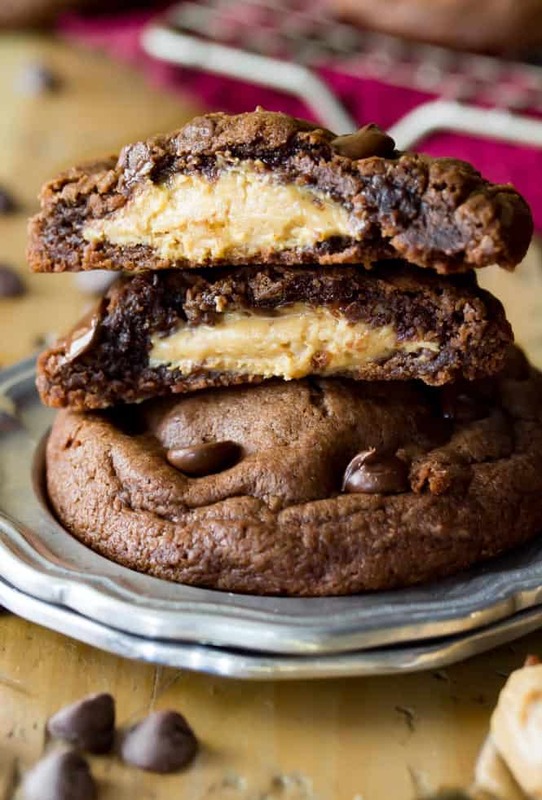 This cold and dreary Monday, I’m coming at you with a peanut butter stuffed chocolate cookie, featuring not one but two different types of chocolate and a creamy, peanut-buttery filling. Forget sneaking Reese’s cups out of your kid’s plastic pumpkin tomorrow night, this is a peanut butter and chocolate combo that puts those orange-wrapped candies to shame. 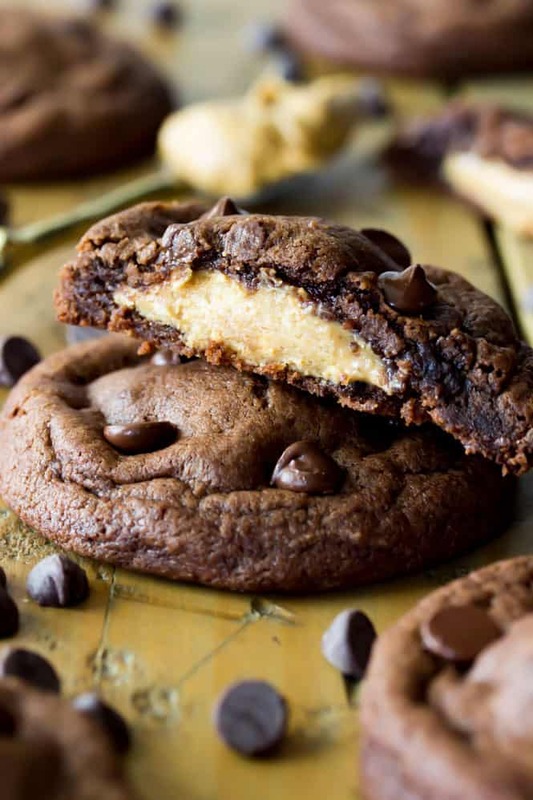 I based the chocolate cookie portion off of my beloved double chocolate chip cookie recipe, with a few tweaks to make the dough stable enough to hold in a peanut butter filling. 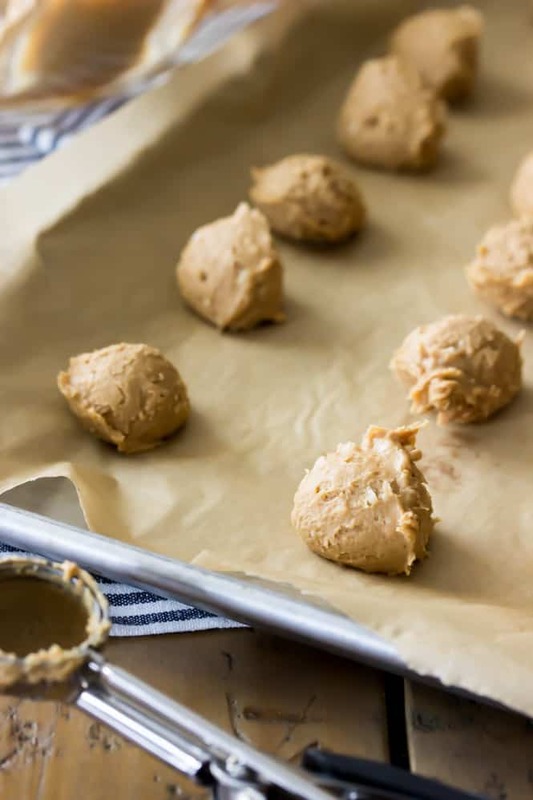 You’ll need to chill the dough for a little bit to make it easy to handle and mold around the peanut butter filling, and this also keeps it from spreading too much int he oven and leaking out all of that peanut butter goodness. 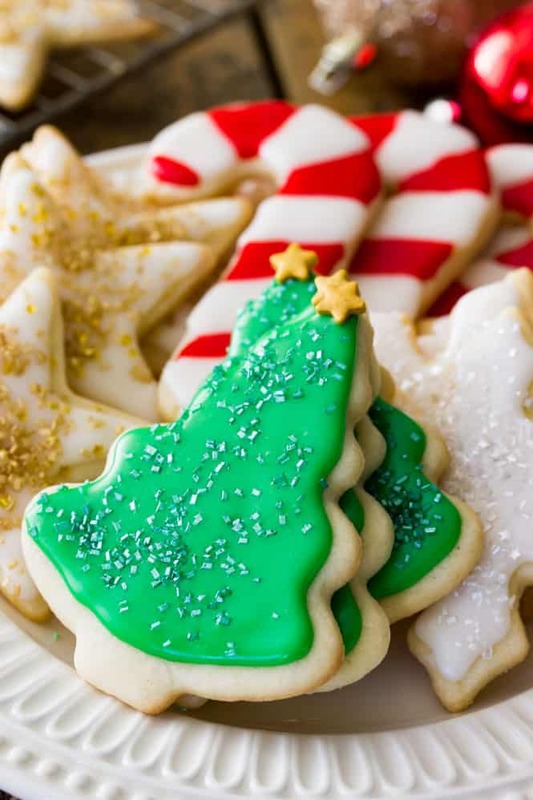 When baking your cookies, don’t place cookie dough on a cookie sheet that’s still warm from the oven, this can cause them to spread too much as the dough starts cooking/melting prematurely. Prepare all of your cookie dough balls and in between batches keep the dough chilling in the refrigerator while the other batches cook. 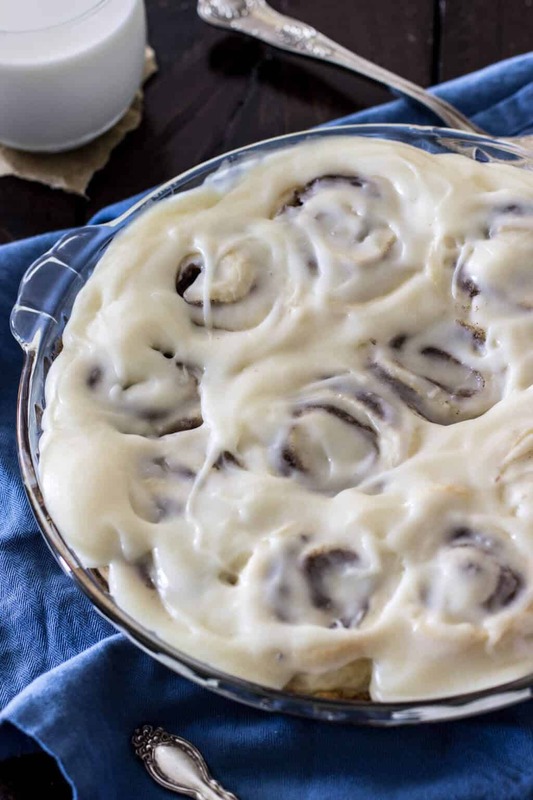 The colder the dough is, the less it will spread in while baking. The peanut butter filling reminds me of a seriously creamy fudge, or maybe even of my buckeye recipe. 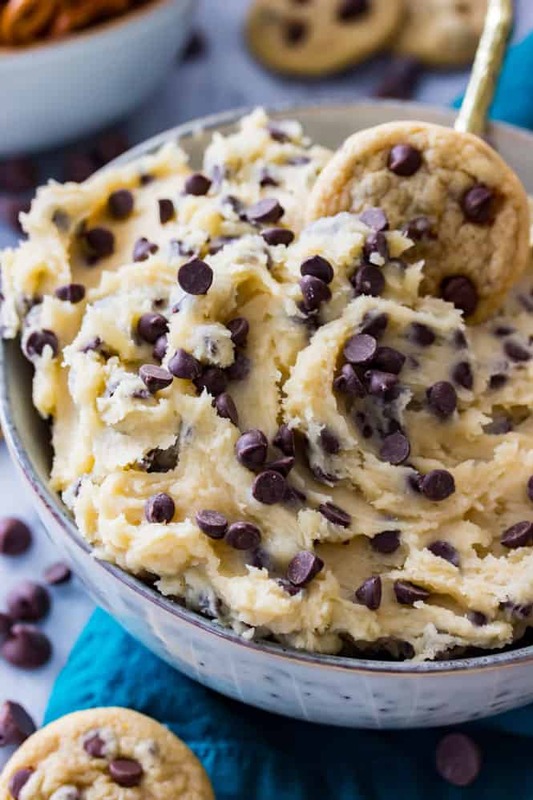 It’s only three ingredients; you’ll mix everything together, drop the filling by 2-teaspoon-sized scoops, and then chill in the freezer while you prepare your chocolate cookie dough. It might seem like a small amount of filling while you’re scooping it, but you’ll find that you need a lot of cookie dough to cover it. This recipe makes a lot of dough, but only makes 18 cookies. They are big, thick, better-than-bakery-style cookies, though, and incredibly decadent. If you like peanut butter and chocolate, make sure to check out my peanut butter pie, my Reese’s stuffed chocolate chip cookies, and my peanut butter chocolate chip cookies! Turkey Pot Pie — Great for Leftover Turkey!